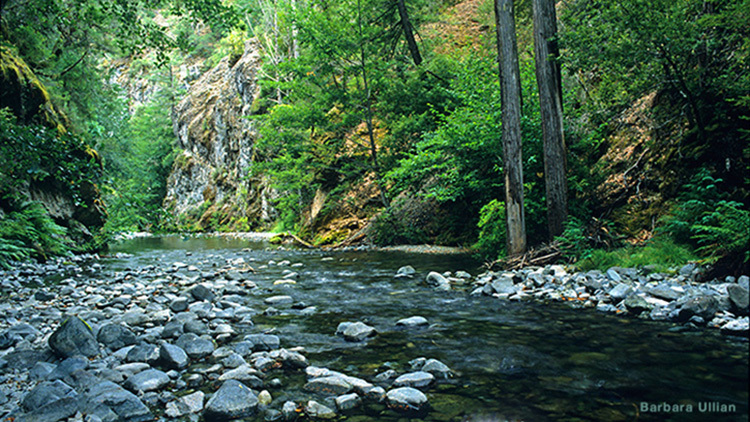 Silver Creek is a direct tributary to the Wild River Area of the Wild and Scenic Illinois River. Much of its 51,000 acre watershed is in the North Kalmiopsis Roadless Area. With the exception of a private inholding, and the headwaters of its North Fork that is BLM managed land, Silver Creek’s watershed within the Siskiyou National Forest. In 1994, the Forest Service found Silver Creek’s water quality and fisheries values to be nationally outstanding. As such the creek and all its tributaries, with habitat for anadromous salmon and steelhead, have been found eligible to become National Wild and Scenic Rivers. In 2004, the Secretary of Agriculture recommended that Congress add 64,000 acres of the North and South Kalmiopsis Roadless Areas to the adjacent Kalmiopsis Wilderness. One of the large blocks of recommended Wilderness Addition included the lower watershed of Silver Creek. Much more the creek’s watershed has high Wilderness values. Mining on the private inholding on Silver Creek above critical low gradient spawning reach. In the summer, the Rogue River’s summer steelhead seek refuge in the cool water refugia that creek provides. It wild steelhead contribute significantly to the world famous lower Rogue River fishery. Despite the Forest Service’s long standing eligibility finding and Silver Creek’s importance to the Rogue River, it remains unprotected. A high percentage of Silver Creek’s watershed was burned during the 1987 Silver Fire and again in the 2002 Biscuit Fire. It’s principle low gradient spawning habitat is threatened suction dredge mining for gold. 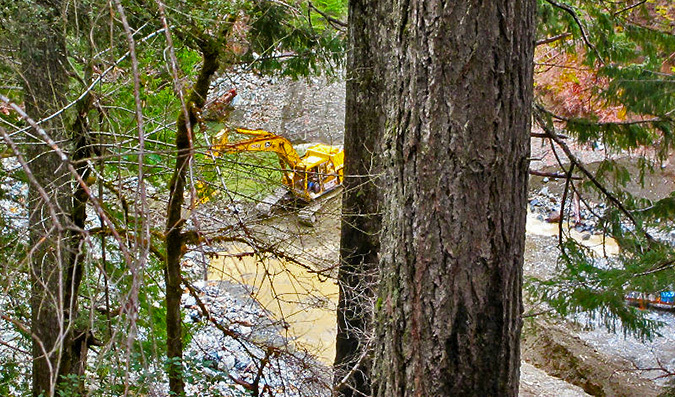 A long narrow private inholding immediately above Silver Creek Falls (anadromous block) has been mined, logged and seriously degraded. 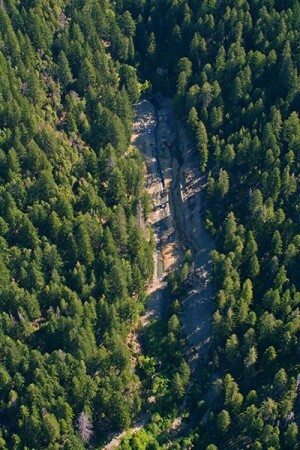 Large amounts of sediment have been delivered downstream to an otherwise pristine low gradient, highly productive productive spawning and rearing reach on Silver Creek in the North Kalmiopsis Roadless Area. The private land mining is impacting some of the best steelhead habitat in the Illinois Basin. The inholding, a former mining claim patented under the 1872 Mining Law should be a priority for purchase and returned to public ownership. The suction dredge mining threat to Silver Creek should be addressed through a mining withdrawal. Private land mining on Silver Creek is impacting some of the best steelhead habitat in the Illinois Basin that’s located downstream on National Forest land in the North Kalmiopsis Roadless Area.